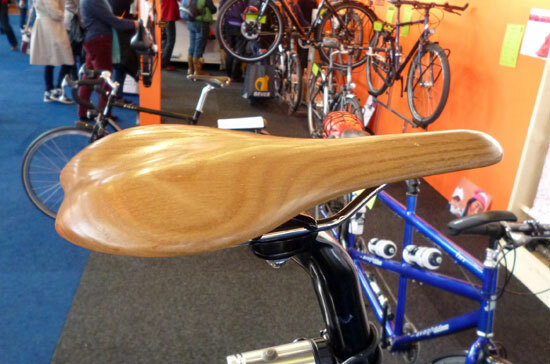 Just came across this very special saddle made of wood. According to the guy who purchased it is anything but comfortable, but he reckoned it was due to the shape and not due to the fact it is wood. The shape looks a lot like a Selle Italia SLR, the one with padding, whereas they probably should have gone with the shape of the SLR C64, the carbon version.